Home » Paactusa » Adding Prednisone to Zytiga – More Side Effects? 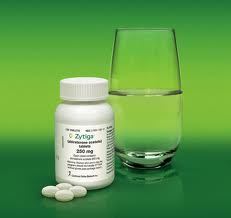 I have heard a few prostate cancer patients comment that they are worried about taking Zytiga (abiraterone) because they are concerned about the side effects of the 5 mg prednisone ( 2 x day) which is prescribed with the Zytiga. People who have been on prednisone for other reasons (gout, arthritis, etc) may have had prednisone side effects which might make them hesitate to try Zytiga – just for this reason. However, when prednisone is given with Zytiga, it’s given for a different reason. One of the purposes is to actually LESSEN side effects from the Zytiga treatment. Simply put, Zytiga (abiraterone) can actually lower blood levels of cortisol in many patients, so the prednisone is considered cortisol “replacement”, which can help reduce side effects from Zytiga treatment. This is a much different situation than giving prednisone alone for other reasons such as gout or arthritis. Since prednisone administration is clearly different than prednisone prescribed for other reasons, talk to your pharmacist if you have any concerns. Zytiga is usually administered through a Specialty Pharmacy, not a retail or neighborhood pharmacy. 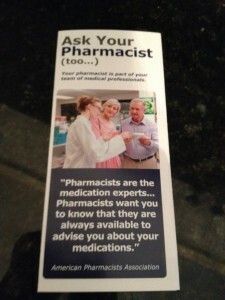 Talk to a pharmacist at one of these locations if you have any questions. Make sure the information you are working from is correct as you make your ongoing treatment decisions for your prostate cancer. 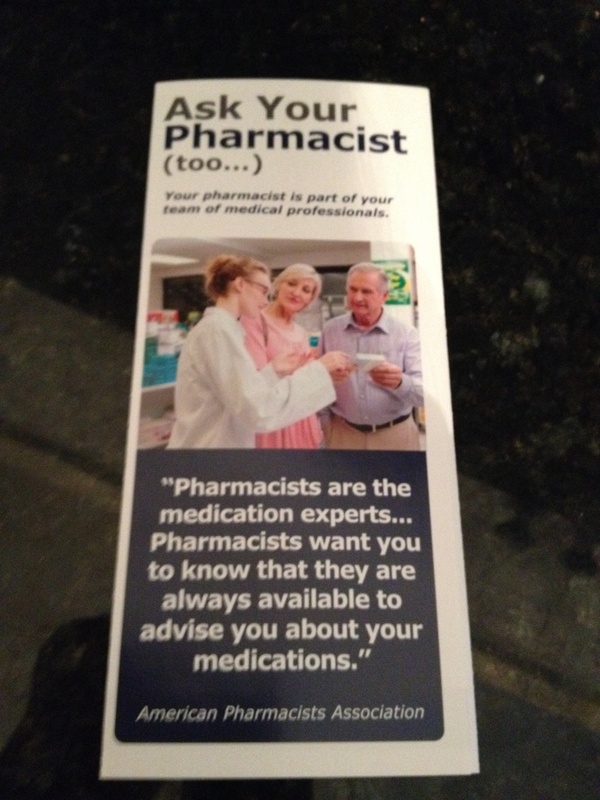 Also, if you would like to receive a copy of one of our new brochures called “Ask Your Pharmacist (too…)”, please email PAACT at paact@paact.help with your request and mailing address.